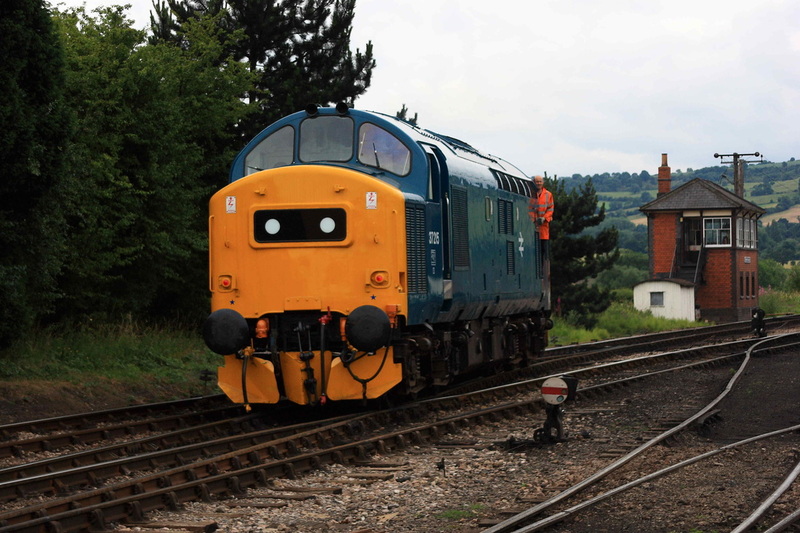 I was in transit to Stonehouse to stay with my brother and his wife for a week (see also days out section), and as the GWR was having it's summer diesel gala, I thought it would be rude not to pop in and have a look. 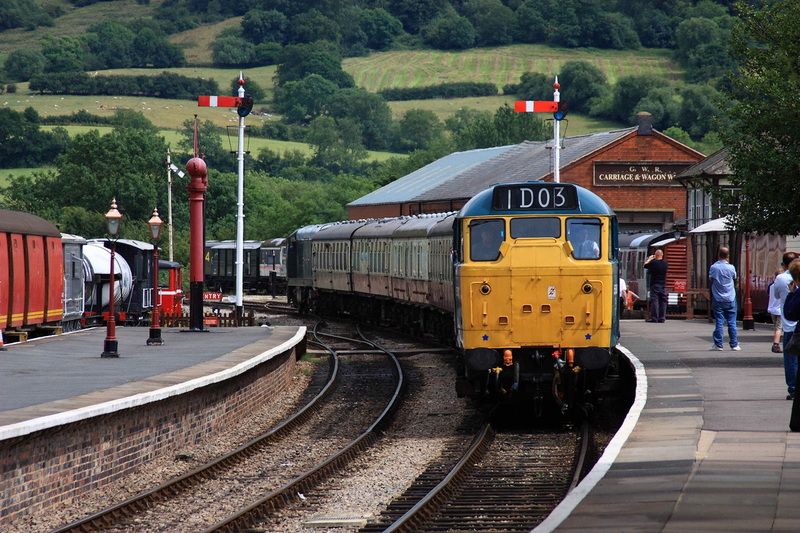 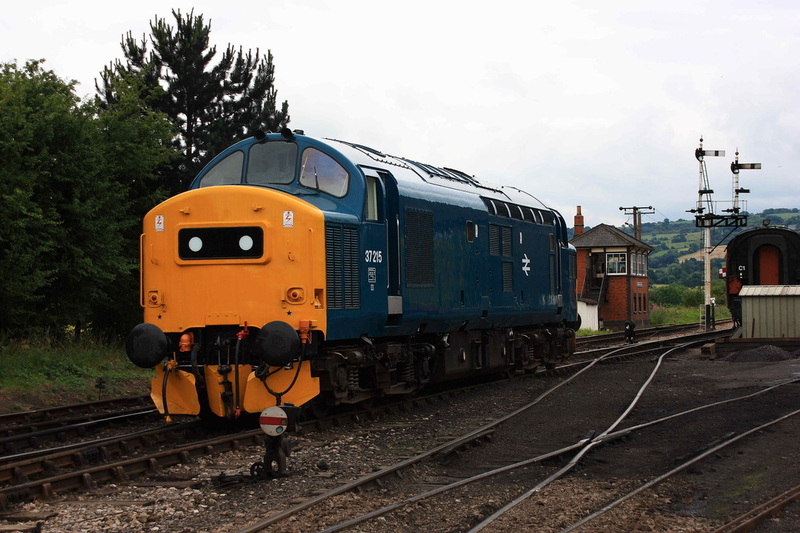 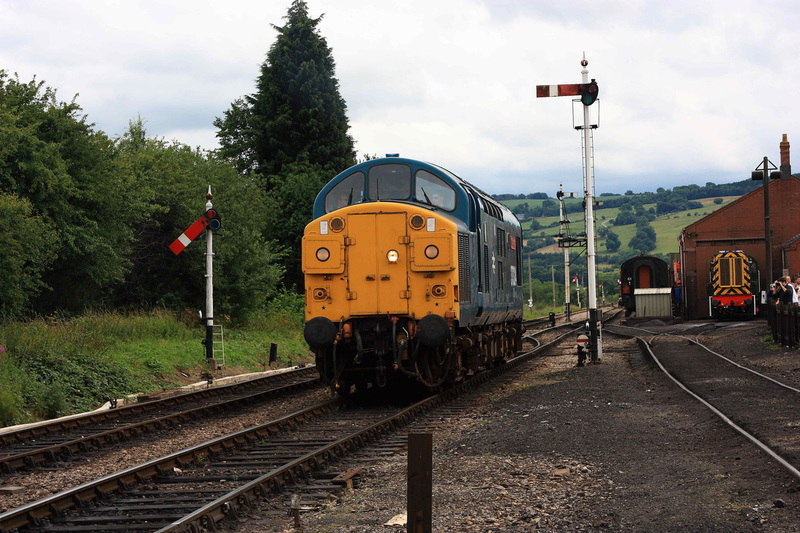 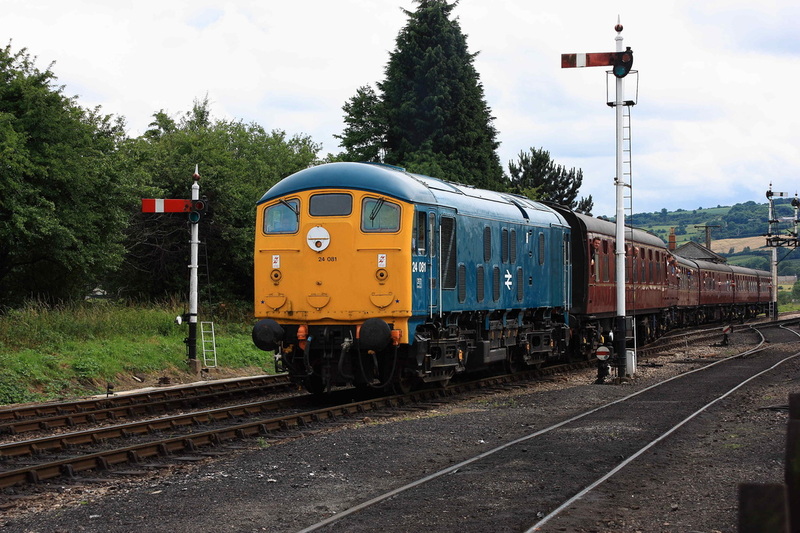 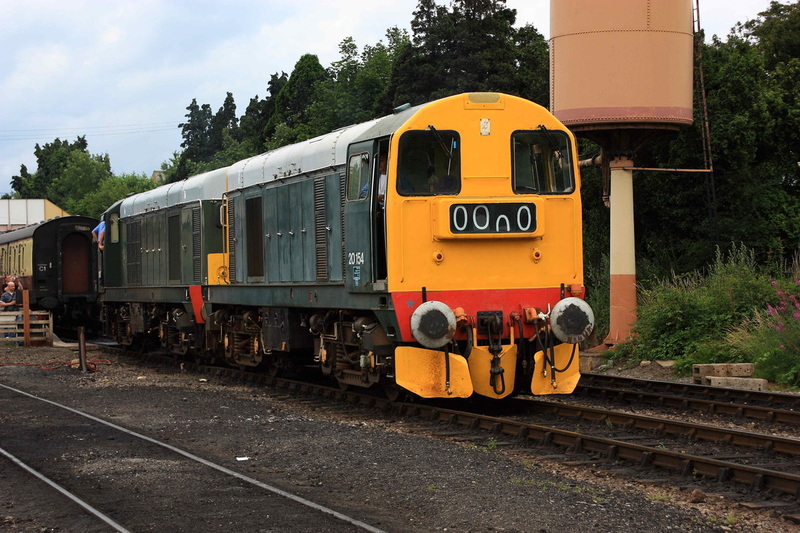 These are a selection of images taken that day at Winchcombe, and Toddington. 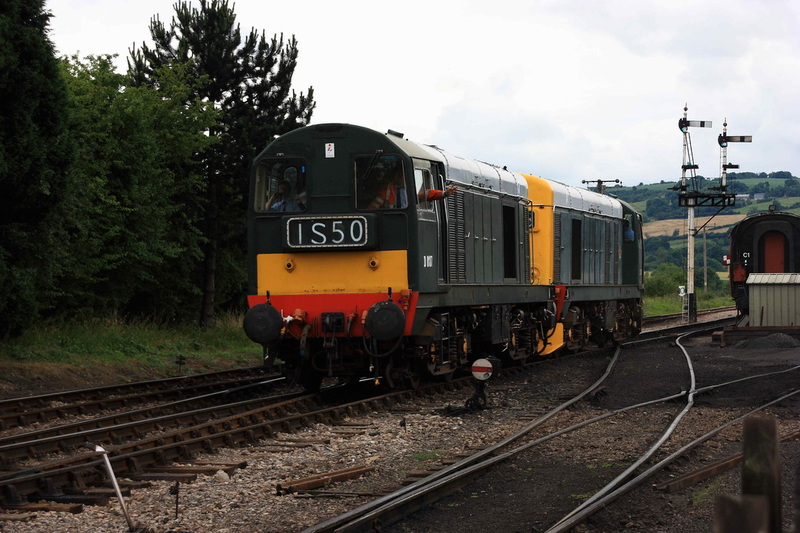 Visiting locos were 5580, D6525, and I think one of the Class 20s. 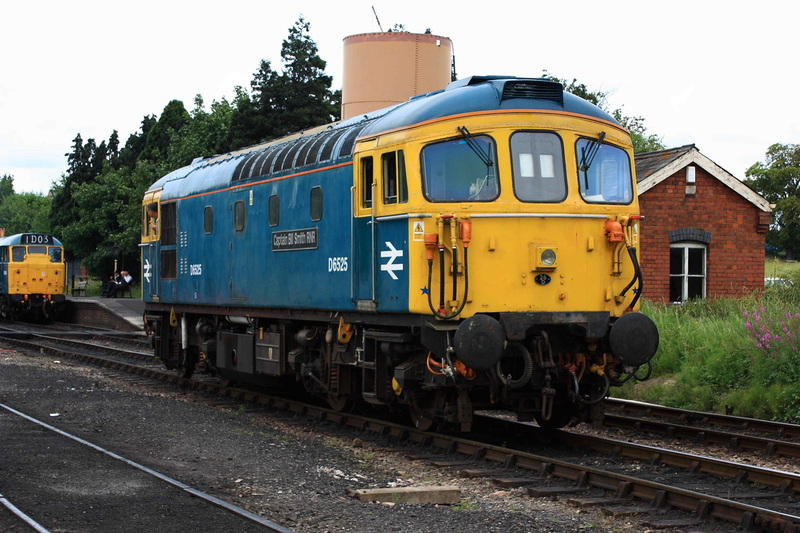 The date was 11/7/2009. 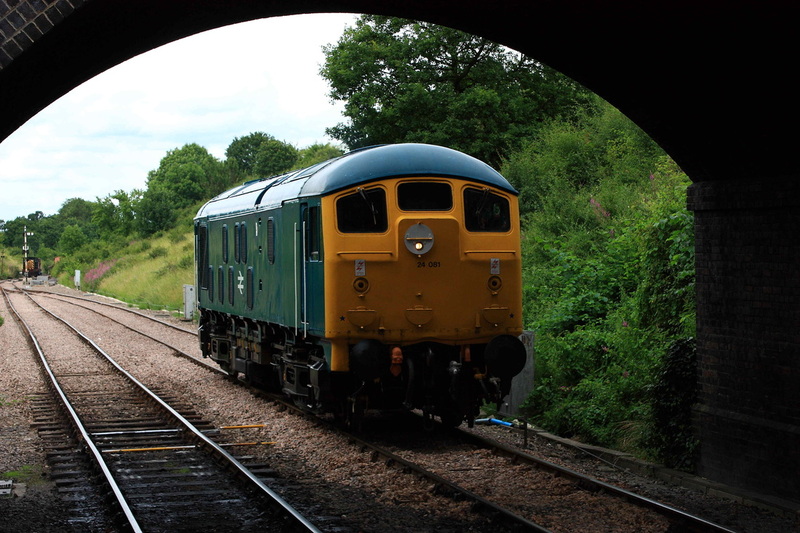 Home loco 24081 enters Winchcombe heading to Cheltenham. 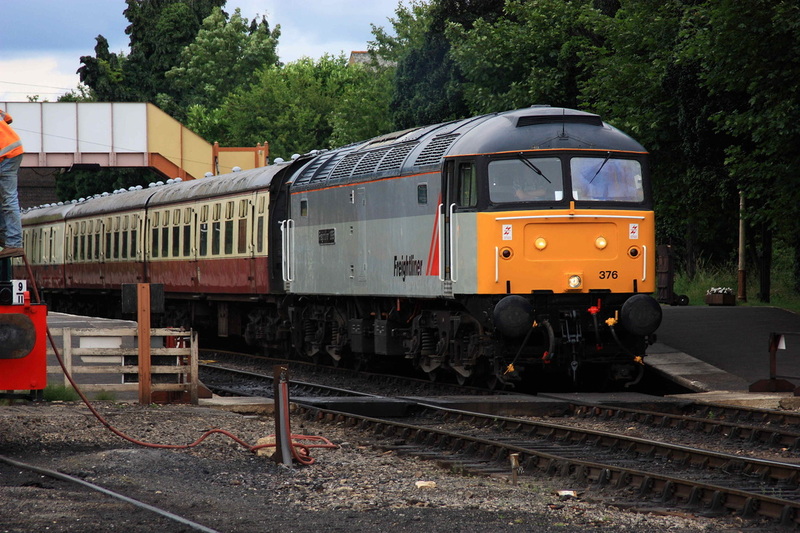 Visiting from ELR, Crompton D6525 stands at Toddington. 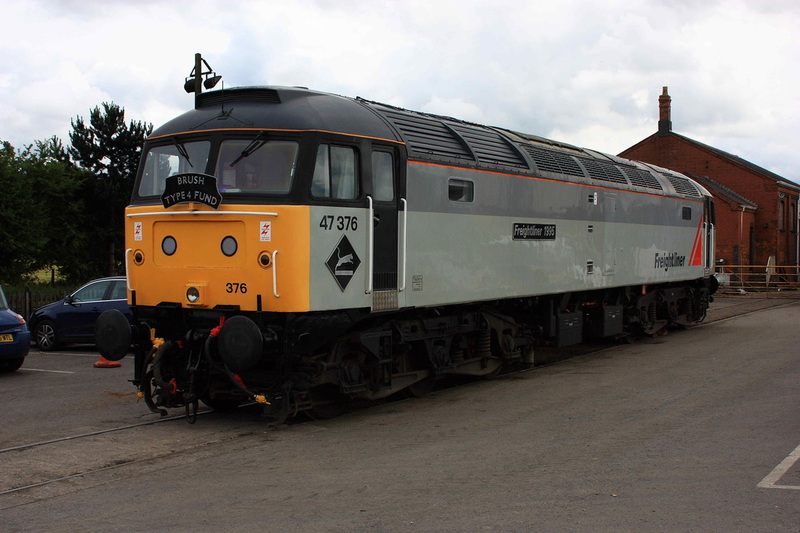 On Display was superbly restored Freightliner grey 47376, which would later work services. It is to be hoped that the next locos (45149 and 26043) to emerge at this railway will be as good as this, as this is a great credit to the group. 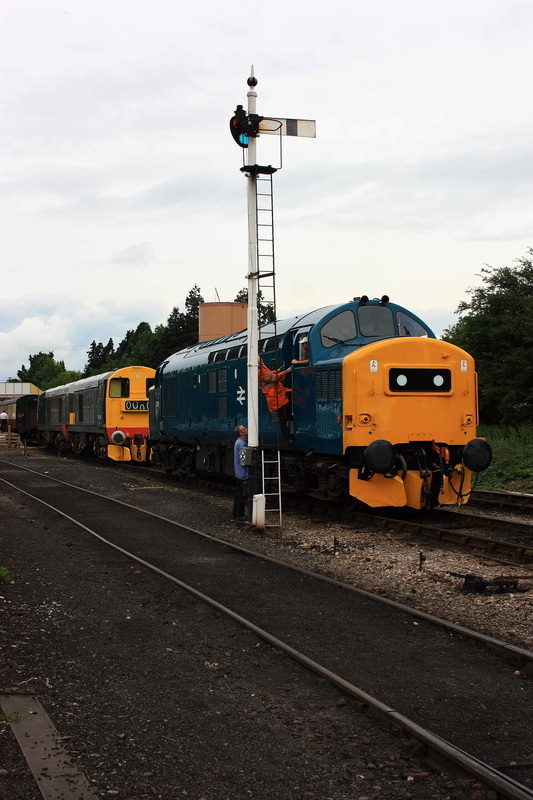 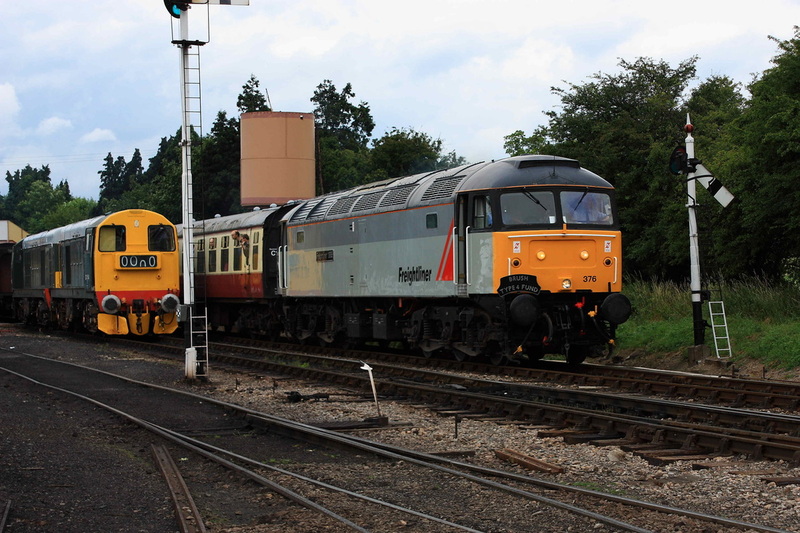 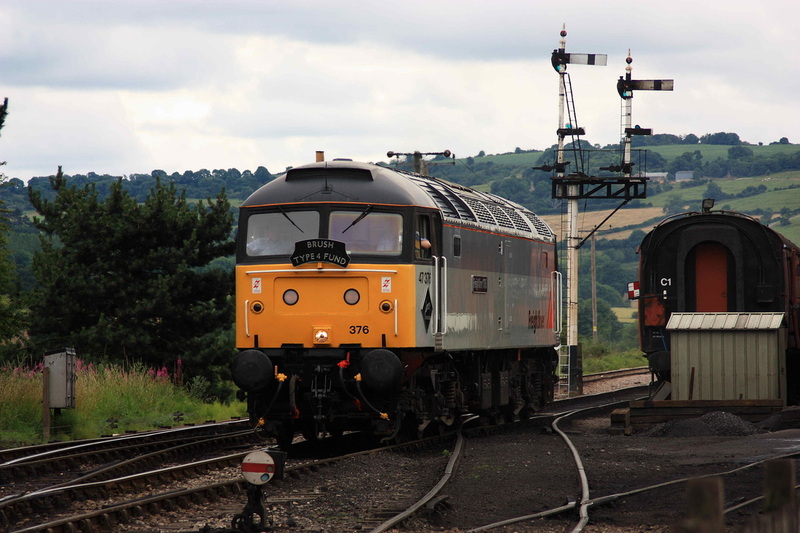 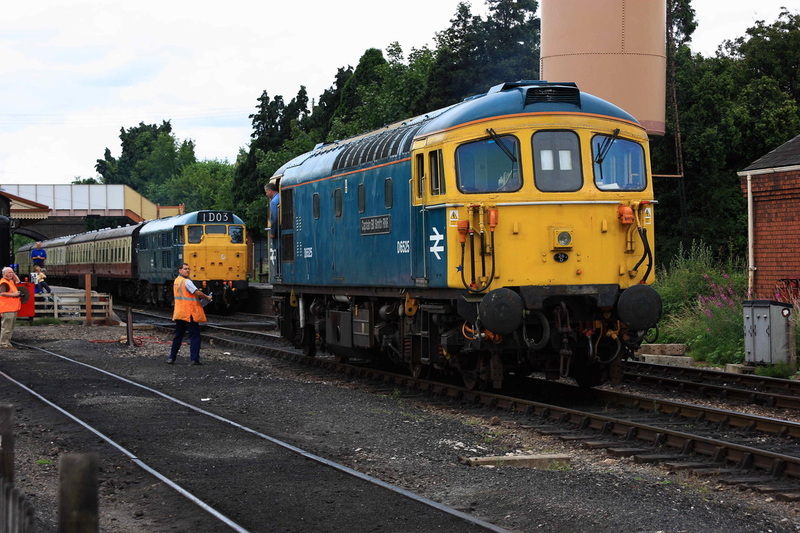 24081 arrives at Toddington, framed by a pair of semaphores. 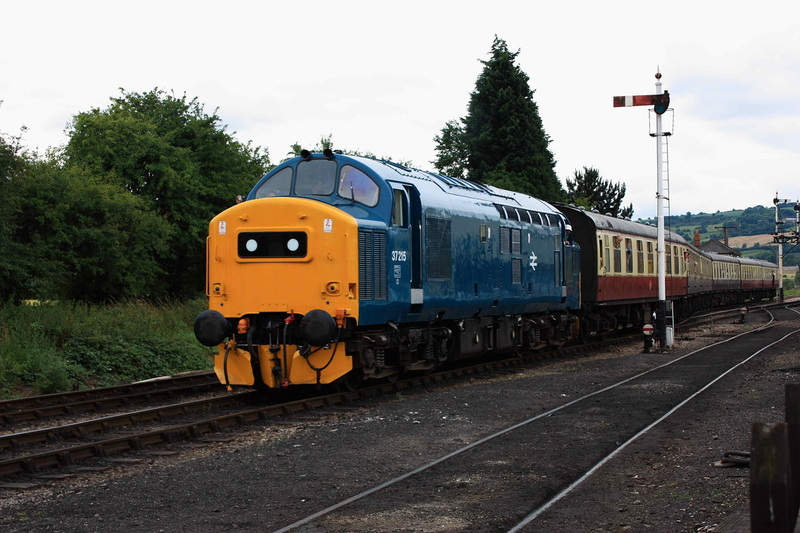 Home loco 37324 " Clydesbridge"
24081 runs around the stock, and south to stable for the night. 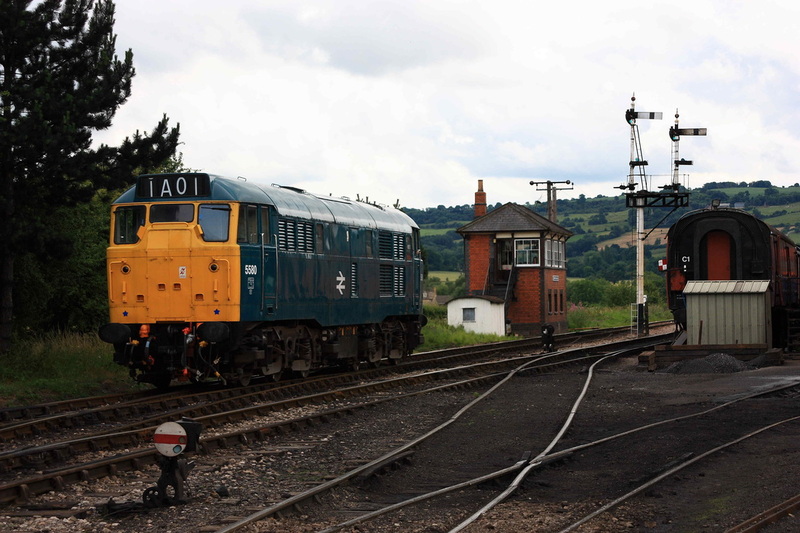 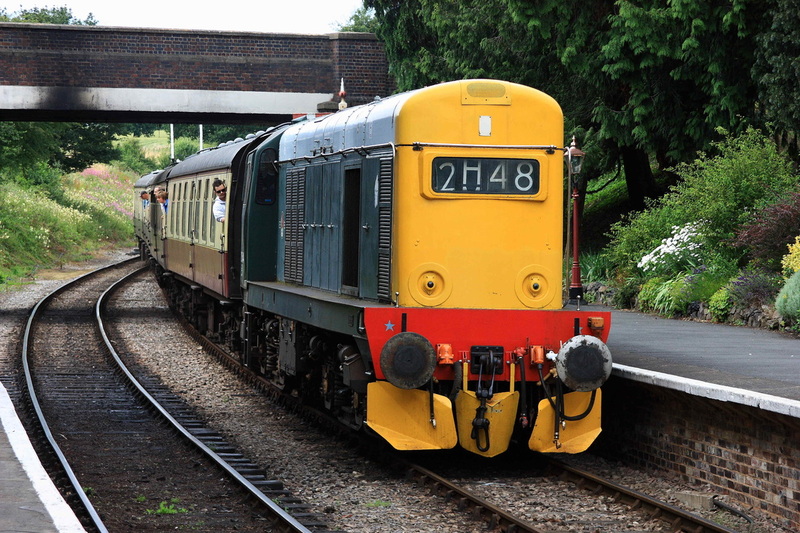 As 37215 arrives with a service from Winchcombe. 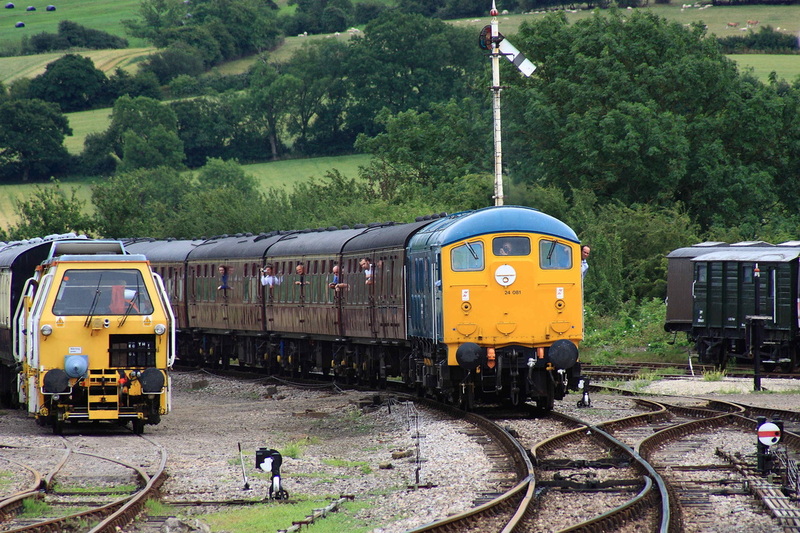 A pair of green Choppers, D8137 and 20154 run past a semaphore towards Toddington station.